“My client list is a group of breathtakingly successful men, all of whom have one thing in common: humility,” Greg Thomajan said. The markets may fluctuate in the Financial District, but one thing remains consistent. Be it bull or bear, the titans of industry need their suits, and for the last 84 years, they bought them at Zareh. Bob Kraft and John Fish are clients. Bobby Orr was, too. Mayors Kevin White and John Hynes shopped there. Alan Shepard donned Zareh’s when he wasn’t sporting a spacesuit. 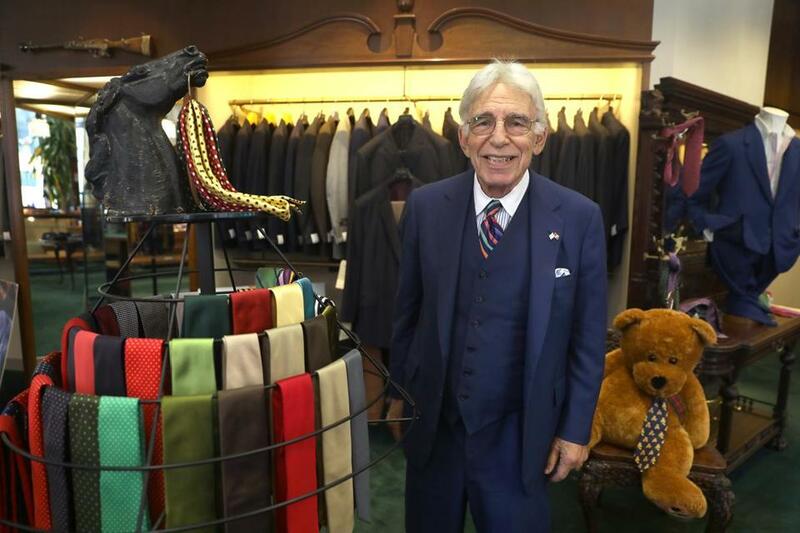 For the last 58 years, Monday through Friday, between the hours of 9 and 5, the dashing haberdasher behind the counter has been Greg Thomajan, who inherited the business from his father in the 1970s. So it was with a heavy heart that Thomajan began telling his customers that he’ll retire at year’s end, closing the store and ending an era. Thomajan’s father, Zareh, opened his store on State Street in 1933, selling gabardine shirts for $7.50. Today, the suits at One Liberty Square start at $3,500, off the rack, but the store looks much as it always has: the plush green carpets of a country club; handsome wooden cases stocked with button-downs; crystal chandeliers dangling over the racks of Oxxford suits, illuminating subtle gradations of blue and gray. The store’s mascot, a 7-month-old golden retriever named Skipper, channels his energy into a chew toy. Churchill Franklin, the head of Acadian Asset Management and its $90 billion portfolio, bought his entire wardrobe at Zareh. “Shopping with Greg is heaven. When I show up, I am his single focus and attention,” he said. For the entirety of his career, Thomajan’s routine has rarely wavered. He uses yellowed index cards to track the shopping habits of the city’s power class. Eschewing e-mail, he has no problem calling financial heavyweights to let them know that it’s high time for a new suit. (Many clients make five-figure purchases without hesitation.) He doesn’t take lunch breaks or vacations. He puts the occasional witty ad in the paper, just as his father did. Most clients come by word-of-mouth. “This has always been a men’s club,” said Thomajan’s wife, Andrea, who is Zareh’s bookkeeper. The duo met on the sales floor in the 1970s, back when plaid jackets were in vogue. (She shudders at the memory.) She pointed to the crystal carafe in the window that they used to fill with Scotch and bemoaned the end of the two-martini lunch, which was great for business. Thomajan has earned the confidence of his clients, which is necessary when asking a high-powered man to strip down to his skivvies and have his inseam measured. To the city’s elite men of a certain age, he is a comrade. In his three-piece suits and Ferragamo ties, Thomajan is not just a reflection of themselves, but elite in his own right. They respect his ability to size a man just by looking at him: his pant size, and his character. “My client list is a group of breathtakingly successful men, all of whom have one thing in common: humility,” Thomajan said. It’s a trait that many say he shares. “I was always struck by his dedication to customer service; it’s probably the best I’ve seen, and I’m in that business,” said Bob Reynolds, the chief executive of Putnam Investments and a client for 30 years. “This has always been a men’s club,” said Andrea Thomajan, Andrea, who is Zareh’s bookkeeper — yet Greg and Andrea function as a team. They met on the sales floor of the downtown Boston store in the 1970s. Skipper, 7 months old, is their golden retriever. Service, as defined by Thomajan, means having his tailor whip up alterations in an hour, then delivering the suit straight to the client’s office, along with the bill, so a spouse doesn’t catch wind of a spending spree. He is the man you call when your pants split on the subway just before you need to close a million-dollar deal, and the one who will open the shop on a Saturday to attend to your daughter’s prom dress on the night of the big dance. That attention to detail comes free of charge. The store carries only a dozen labels, most classic American styles. 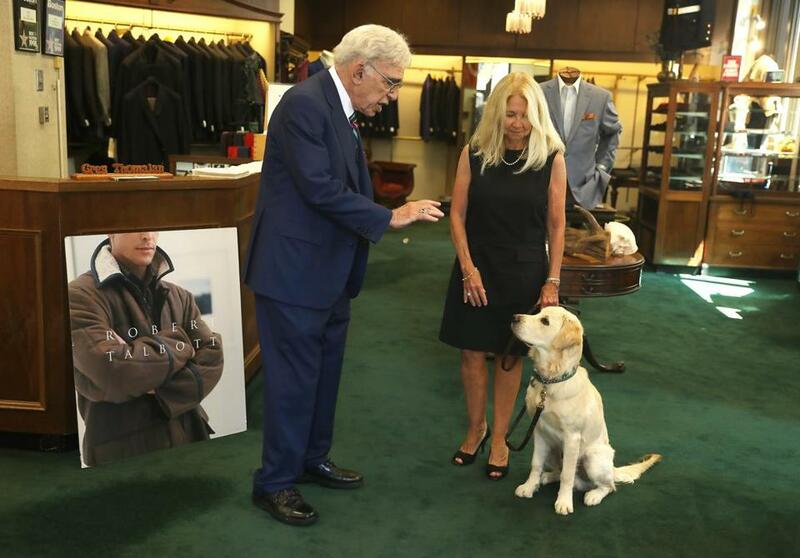 “His taste level is impeccable,” said Karen Alberg Grossman, the editor of MR, a menswear industry magazine. Thomajan said that during the store’s best years, 2000 and 2001, Zareh did $2 million annually in sales. Which makes the news of his departure all the more devastating for his clients. 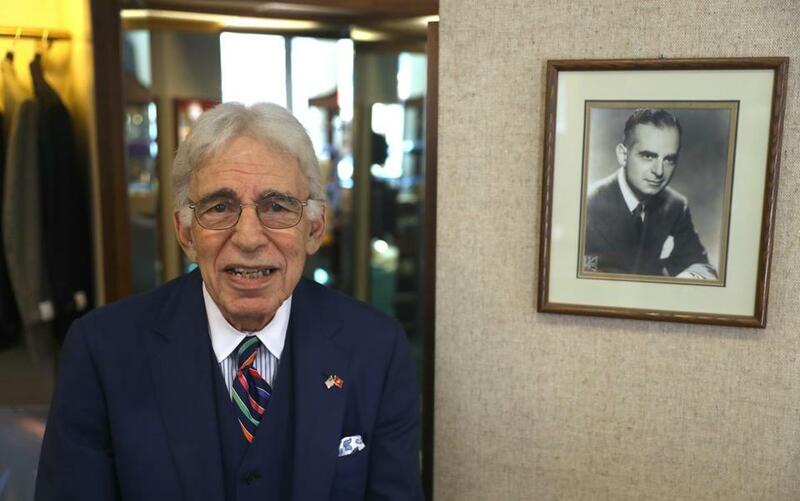 “When I walk in there, I see my father,” said Mitchell Jacobs, who began shopping at Zareh in 1960, collecting pocket change to purchase knit ties for his dad’s birthday. When he was a young lawyer, Jacobs said, Thomajan gave him a suit before his first day of work and told him he didn’t have to pay for it until he got his first paycheck. And he casts a sideways glance at the mention of the made-to-measure menswear startups that promise custom suiting with a few online keystrokes. Ever the gentleman, he sums up his thoughts on the new-age competitors with a quick dismissal: Their suits simply do not fit the way a good suit should. “I have tremendous concerns about my industry, which I love,” he said. He admitted it’s hard to imagine retirement when his career never felt like a job. “I’ve never known anything but this shop, and I’m terrified as to what I’m going to do,” he said. Thomajan inherited the business from his father, Zareh, in the 1970s.